We were thrilled to be a part, once again, of Lynchburg’s largest block party – Get! Downtown on September 7th! We enjoyed meeting all of you and sharing the exciting news about our upcoming bout at Funquest on Sunday, October 21st. Here are just a few snapshots of the action. BWR also represented the next day at Day in the Park, at Miller Park on September 8th. We had a great time talking to families, former and potential skaters, answering your questions, and performing derby demonstrations on the side pavilion. Thank goodness the weather held out! Thanks to everyone who came out for our Car Wash at Jiffy Lube on 221 on Saturday, September 16th! The funds help support our team for insurance, printing, security and other costs associated with bout production. You may have seen Beccanator skating renegade-style later that day at the Lynchburg Beer & Wine Festival at Riverfront Park. No, she was not drinking. Yes, she couldn’t resist the open pavilion and awesome new-grass (alternative bluegrass) band, Love Cannon! Our happiest personal news lately has been the marriage of Indy Rock (Jill Nance) to Gunslinger (Jon Waugh), which took place at Longacre Bed & Breakfast in Appomattox on September 22nd. 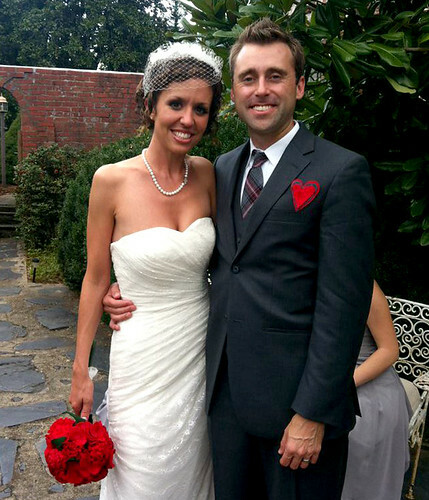 Here is a photo of the beautiful newlyweds. We look forward to Indy Rock coming back to the track ASAP, and meanwhile, can’t wait for her Super Derby Directional Powers as our Bench Coach/Manager on October 21st! Mr. Rock (aka Gunslinger) may also make an appearance. Blackwater Rollers look forward to seeing you all at the Appomattox Railroad Festival Parade on Saturday, October 13th! The parade starts at 10:30 am, but come early to get a great spot. 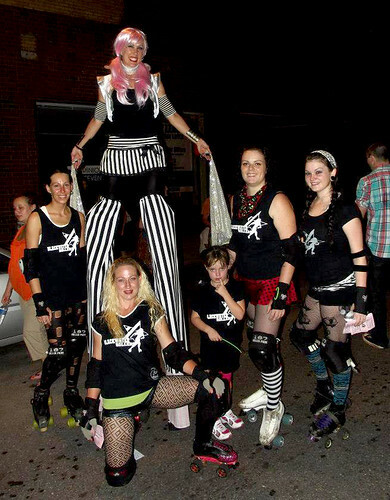 Don’t forget, October is National Roller Skating Month! Funquest is celebrating with free skating….check their website,www.funquestfun.com for more details. That is it for now, but stayed tuned, we have news on our upcoming bout! You won’t want to miss it! And please contact us any time to find out how you can try a practice, become a sponsor, volunteer, or otherwise become a part of our derby family! Facebook us or email blackwaterrollers@yahoo.com Derby Love to All!! !